Here is Dix as she shamelessly snacks on the contents of the bathroom trash bin, not even caring that the whole internet is watching. 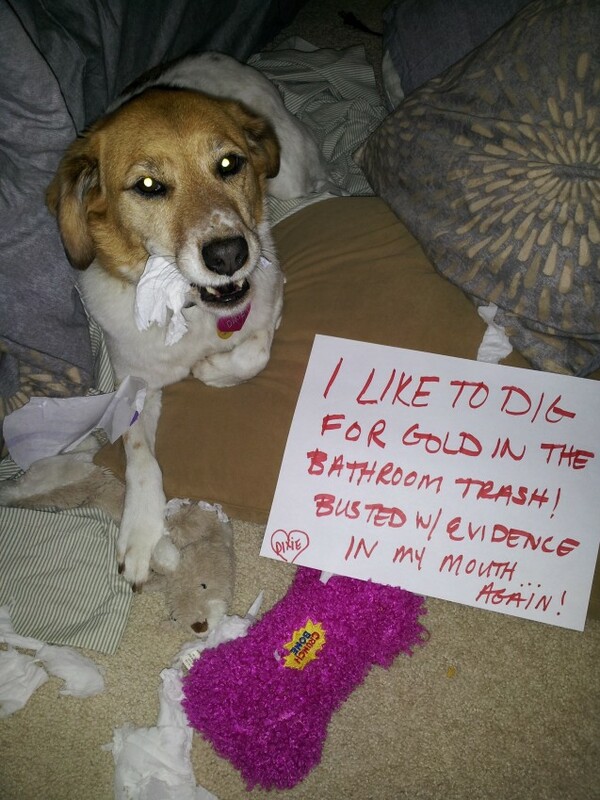 lol….my Beau is a 14 year old Beagle & he still raids the bathroom trash! Your Dix is adorable! My Sam loves to run thru the house with TP. I understand completely!